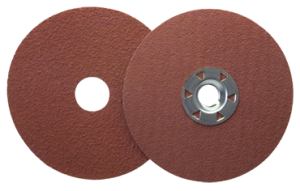 Standard Abrasives is one of the most trusted brands of industrial abrasive products, and it offers solutions for a variety of applications, including grinding, polishing, finishing, and cleaning all types of metal surfaces. At Wm. 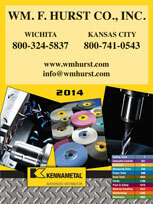 F. Hurst Co., LLC, we offer businesses in Kansas City, Wichita, Dallas, Fort Worth, and surrounding cities in the Midwest a comprehensive selection of industrial abrasives, including coated and non-woven abrasive products from Standard Abrasives. Wm. F. Hurst has been a trusted industrial supply distributor since 1962, and countless businesses have continually turned to us over the past five decades because of our high-quality products, competitive prices, vast product knowledge, and commitment to providing outstanding customer service. We have the expertise to help you identify the right products you need for every job, and we’re dedicated to getting you those products quickly so that you can maintain an efficient operation. To learn more about the Standard Abrasives products we offer, contact us today. In addition to industrial abrasives, we offer an outstanding selection of power tools, cutting tools, and assembly tools from industry-leading manufacturers, as well as semi-synthetic and soluble oil metalworking fluids, safety supplies, and more. Wm. F. Hurst Co. proudly serves businesses in cities throughout the Midwest, including Kansas City, Wichita, Dallas, Fort Worth, Joplin, and Sedalia.